This website is owned and operated by Learning Disabilities Association of Ontario (LDAO). All orders and purchases made through the facilities of this website shall be subject to these Online Shopping Terms and Conditions. You may only purchase or order items for non-commercial and lawful purposes and any other use is not permitted. You agree to pay for all charges noted herein as payable by you. You have to be 18 or older to purchase from the website. Any items purchased on this website will not be delivered to an address outside of Canada and USA. Learning Disabilities Association of Ontario (LDAO) may correct errors or inaccuracies and change or update information on this website at any time without notice, including in respect of prices and availability of items. All prices listed on this website are subject to confirmation. Learning Disabilities Association of Ontario (LDAO) will notify you by Email within 2 business days of making a purchase if the confirmed price of an item you have selected differs from the price listed on the website or on your purchase order. If you do not receive an Email within 2 business days of completing a purchase order, Learning Disabilities Association of Ontario (LDAO) is deemed to have confirmed the purchase at the price listed. If you receive such notification, the sale will be automatically terminated unless you reply by Email with confirmation of your intention to purchase the item at the confirmed price. Learning Disabilities Association of Ontario (LDAO) reserves the right to limit the quantities of certain items which you, your family or any group can purchase. Learning Disabilities Association of Ontario (LDAO) will use commercially reasonable efforts to deliver items as quickly as possible and within any time periods indicated; however, Learning Disabilities Association of Ontario (LDAO) will not be responsible for any delays in delivery which are beyond its control. Where delivery is delayed, Learning Disabilities Association of Ontario (LDAO) will notify you as soon as possible. In order to protect you and Learning Disabilities Association of Ontario (LDAO) from fraudulent transactions, Learning Disabilities Association of Ontario (LDAO) may provide your transaction-related information to a reputable third party organization to perform address verification. This address verification is intended to ensure that the "bill to" address that you provide matches your credit card address. Learning Disabilities Association of Ontario (LDAO) also reserves the right, at its discretion, not to ship items ordered or purchased on this website to certain addresses. In the event that Learning Disabilities Association of Ontario (LDAO) chooses not to ship an item, you will be notified by Email and any amount charged to your credit card will be refunded. This agreement sets forth the terms and conditions that apply to you ("the Visitor"), an individual accessing the Learning Disabilities Association of Ontario websites ("LDAO Websites"). By accessing the LDAO Websites, you agree to the following terms and conditions. If you do not agree, you should not visit or use any part of the LDAO Websites. Please note that certain services and programs offered by the Learning Disabilities Association of Ontario may have additional terms and conditions. Please check notices attached to the specific service/programs to find these additional terms and conditions. The Learning Disabilities Association of Ontario (LDAO) has the right to change or discontinue any aspect or feature of any LDAO Website, including, but not limited to, content, hours of availability, and equipment needed for access or use, at any time. The Learning Disabilities Association of Ontario has the right to change or modify the terms and conditions applicable to the Visitor's use of any LDAO Website, or any part thereof, or to impose new conditions, including, but not limited to, adding fees and charges for use at any time. Such changes, modifications, additions or deletions shall be effective immediately upon notice thereof, which may be given by means including, but not limited to, posting on the LDAO Websites, or by electronic or conventional mail, or by any other means by which the Visitor obtains notice thereof. Any use of the LDAO Websites by the Visitor subsequent to such notice shall be deemed to constitute acceptance by the Visitor of such changes, modifications or additions. The Visitor shall use the LDAO Websites for lawful purposes only. The Visitor shall not post or transmit through any LDAO Website any material which: (i) violates or infringes in any way upon the rights of others; (ii) is unlawful, threatening, abusive, defamatory, invasive of privacy or publicity rights, vulgar, obscene, profane or otherwise objectionable; (iii) encourages conduct that would constitute a criminal offense, gives rise to civil liability or otherwise violates any law; or (iv) contains advertising or any solicitation with respect to products or services, unless the Learning Disabilities Association of Ontario has expressly approved such material in advance of its transmission. Any conduct by the Visitor that in the Learning Disabilities Association of Ontario's discretion restricts or inhibits any other Visitor from using or enjoying any LDAO Website is expressly prohibited. The trademarks, logos and services marks ("Marks") displayed on the LDAO Websites are the property of LDAO or a third party who may own the Marks. The Visitor is prohibited from using any Marks for any purpose without the written permission of the Learning Disabilities Association of Ontario or such third party who may own the Marks. All information and content including any software programs available on or through the LDAO Websites ("Content") is protected by copyright. The Visitor is prohibited from modifying, copying, distributing, transmitting, displaying, publishing, selling, licensing, creating derivative works or using any Content available on or through LDAO Websites for commercial or public purposes. The LDAO Websites contain copyrighted material, trademarks and other proprietary information, including, but not limited to, text, software, photos, video, graphics, music and sound, portions of which are owned by the Learning Disabilities Association of Ontario and portions of which are owned by other parties and licensed to the Learning Disabilities Association of Ontario. The entire contents of the LDAO Websites are copyrighted as a collective work/compilation. The Learning Disabilities Association of Ontario owns copyright in the selection, coordination, arrangement, and enhancement of such content, as well as in the content original to it. No Visitor may modify, publish, transmit, participate in the transfer or sale, create derivative works, or in any way exploit any of the content, in whole or in part. The Visitor may download one (1) single copy of the copyrighted material for Visitor's personal, non-commercial use only. Except as otherwise expressly permitted under copyright law, no copying, redistribution, retransmission, publication or commercial exploitation of downloaded material will be permitted without the express written permission of The Learning Disabilities Association of Ontario (or the copyright owner(s) if other than or in addition to the Learning Disabilities Association of Ontario). In the event of any permitted copying, redistribution or publication of copyrighted material, no changes in or deletion of author attribution, trademark legend, copyright or other proprietary notice shall be made. The Visitor acknowledges that he/she does not acquire any ownership rights by downloading copyrighted material. The Visitor shall not upload, post or otherwise make available on any LDAO Website any material protected by copyright, trademark, or other proprietary right, without the express written permission of the owner of the copyright, trademark, or other proprietary right, and the burden of determining that any material is not protected by copyright rests with the Visitor. The Visitor shall be solely liable for any damage resulting from any infringement of copyrights, proprietary rights, or any other harm resulting from such a submission. By submitting material to any public area of any LDAO Website, the Visitor automatically grants, or warrants that the owner of such material has expressly granted the Learning Disabilities Association of Ontario the royalty-free, perpetual, irrevocable , non-exclusive right and license to use, reproduce, modify, adapt, publish, translate and distribute such material (in whole or in part) worldwide and/or to incorporate the material in other works in any form, media or technology now known or hereafter developed for the full term of any copyright that may exist in such material. Visitor also permits any other Visitor to access, view, store or reproduce the material for that Visitor's personal use. Visitor hereby grants the Learning Disabilities Association of Ontario the rights to edit, copy, publish and distribute any material made available on any LDAO Website by the Visitor. Unless otherwise indicated, trademarks that appear on this site are trademarks of The Learning Disabilities Association of Ontario or its affiliates. All other trademarks not owned by The Learning Disabilities Association of Ontario or its affiliates that appear on this site are the property of their respective owners, who may or may not be affiliated with, connected to, or sponsors of The Learning Disabilities Association of Ontario or its affiliates. To the extent that portions of the LDAO Websites (such as "chat rooms" or "bulletin boards") provide the Visitor an opportunity to post and exchange information, ideas and opinions ("Postings"), be advised that the Learning Disabilities Association of Ontario does not screen, edit or review posting prior to their appearance on any LDAO Website, and Postings do not necessarily reflect the views of the Learning Disabilities Association of Ontario. To the fullest extent permitted by applicable laws, the Learning Disabilities Association of Ontario shall in no event have any responsibility or liability for the Postings or for any claims, damages, or losses resulting from their use and/or appearance on any LDAO Website. The Learning Disabilities Association of Ontario reserves the right to monitor all Postings and to remove any which it considers in its absolute discretion to be offensive or otherwise in breach of these terms and conditions. The Visitor hereby represent and warrant that the Visitor has all necessary rights in and to all Postings the Visitor provides and all material they contain; that the Visitor's Postings shall not infringe any proprietary or other rights of third parties; that the Visitor's Postings shall not contain any viruses or other contaminating or destructive devices or features; that the Visitor's Postings shall not contain any defamatory, indecent, offensive, or otherwise unlawful material or content; and that the Visitor's Postings shall not be used to carry out or solicit any unlawful activity and/or be used to make commercial solicitations. The Visitor hereby authorizes the Learning Disabilities Association of Ontario to use and/or authorize others to use all or part of the Visitor's Postings in any manner, format, or medium that the Learning Disabilities Association of Ontario or such other parties see fit. The Visitor shall have no claim or other recourse against the Learning Disabilities Association of Ontario or infringement of any proprietary right in Postings. 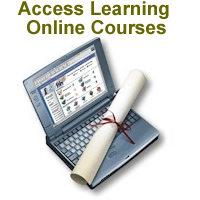 The Learning Disabilities Association of Ontario always welcomes suggestions and comments regarding any LDAO Websites. Any comments or suggestions submitted to LDAO Websites or the Learning Disabilities Association of Ontario, either online or offline, will become the Learning Disabilities Association of Ontario's property upon their submission. This policy is intended to avoid the possibility of future misunderstandings when projects developed by the Learning Disabilities Association of Ontario might seem to others to be similar to their own submissions or comments. The Visitor expressly agrees that use of the LDAO Websites is at the Visitor's own risk. The Visitor shall be responsible for protecting the confidentiality of the Visitor's passwords(s), if any. Neither the Learning Disabilities Association of Ontario, its affiliates, nor any of their respective employees, agents, third-party content providers or licensors, warrant that the LDAO Websites will be uninterrupted or error free; Nor do they make any warranty as to the results that may be obtained from use of any LDAO Website, or as to the accuracy, reliability or content of any information, service or merchandise provided through any LDAO Website. Price information is subject to change without notice. It is the Visitor's responsibility to evaluate the accuracy and completeness of all information, opinions and other material on the LDAO Websites or any sites with which it is linked. The Learning Disabilities Association of Ontario provides technology automatically producing search results that link and/or reference sites and information located worldwide through the Internet. Because the Learning Disabilities Association of Ontario has no control over such sites and information, the Learning Disabilities Association of Ontario makes no guarantee as to such sites and information including the accuracy, currency, content or quality of any such sites and information, and the Learning Disabilities Association of Ontario assumes no responsibility as to whether the search locates unintended or objectionable content. Furthermore, because some content on the Internet consists of material that is adult-oriented or otherwise objectionable to some people, the results of the Visitor's search on any LDAO Website may automatically and unintentionally generate links or references to objectionable material. The Learning Disabilities Association of Ontario makes no claim that such surprises might not occur. This disclaimer of liability applies to any damages or injury caused by any failure of performance, error, omission, interruption, deletion, defect, delay in operation or transmission, computer virus, communication line failure, theft, destruction or unauthorized access to, alteration of or use of records, whether for breach of contract, tortuous behavior, negligence, or under any other cause of action. The Visitor specifically acknowledges that the Learning Disabilities Association of Ontario or its licensors are not liable for the defamatory, offensive or illegal conduct of other Visitors or third parties and that the risk of injury from the foregoing rests entirely with the Visitor. In no event will the Learning Disabilities Association of Ontario, or any person or entity involved in creating, producing or distributing any part of the LDAO Websites be liable for any damages, including, without limitation, direct, indirect, incidental, special, consequential or punitive damages arising out of the use of or inability to use any part of the LDAO Websites. The Visitor hereby acknowledges that the provision of this section shall apply to all content on all LDAO Websites. In addition to the terms set forth above, neither the Learning Disabilities Association of Ontario, nor its affiliates, information providers or content partners shall be liable regardless of the cause or duration, for any errors, inaccuracies, omissions, untimeliness or authenticity of the information contained within any LDAO Website, or for any delay or interruption in the transmission thereof to the Visitor, or for any claims or losses arising there from or occasioned thereby. None of the foregoing parties shall be liable for any third-party claims or losses of any nature, including, but not limited to, lost profits, punitive or consequential damages. The Visitor agrees to defend, indemnify and hold harmless the Learning Disabilities Association of Ontario, its affiliates and their respective directors, licensors, employees or agents, and assigns from and against all claims and expenses, including attorneys' fees, arising out of the Visitor's use of any LDAO Website. Please be advised that the Learning Disabilities Association of Ontario's Email newsletters ("Newsletters") are part of a wide distribution, and that neither the Learning Disabilities Association of Ontario nor any third party involved is monitoring, reviewing or screening the recipient Email list prior to its distribution. The Newsletters are distributed only to those who have expressly opted-in to receive them. If local, provincial or federal rules or regulations prohibit the recipient from receiving these types of Newsletters or the recipient simply does not wish to receive the Newsletter in the future or the Newsletter was sent to recipient in error, the recipient should immediately opt-out from receiving similar future offers and/or Newsletters by contacting the Learning Disabilities Association of Ontario and updating his or her subscription. The recipient can always opt back in to receive future offers and/or Newsletters at any time through the LDAO Websites. To review and modify the categories of offers and/or Newsletters for opt-in, please go to the LDAO Access website (www.access.ldao.ca) and edit your preferences. The Visitor shall be responsible for obtaining and maintaining all telephones, computer hardware, and other equipment needed to visit and use the LDAO Websites and for any/all charges related thereto. Third parties supply certain content portions of the LDAO Websites. Any opinions, advice, statements, services, offers, or other information or content expressed or made available by third parties, including information providers, are those of the respective author(s) or distributor(s) and not of the Learning Disabilities Association of Ontario. Neither the Learning Disabilities Association of Ontario nor any third-party provider of information guarantees the accuracy, completeness, or usefulness of any content, nor its merchantability or fitness for any particular purpose. The Learning Disabilities Association of Ontario neither endorses nor is responsible for the accuracy or reliability of any opinion, advice or statement made on any LDAO Website by anyone other than employee spokespersons of the Learning Disabilities Association of Ontario while acting in their official capacities. This Agreement shall be construed in accordance with the laws of the Province of Ontario, without regard to its conflict of laws rules. Any cause of action of any nature arising out this Agreement shall be brought in the City of Toronto in the Province of Ontario.